Google launched a new music service, this time for India. 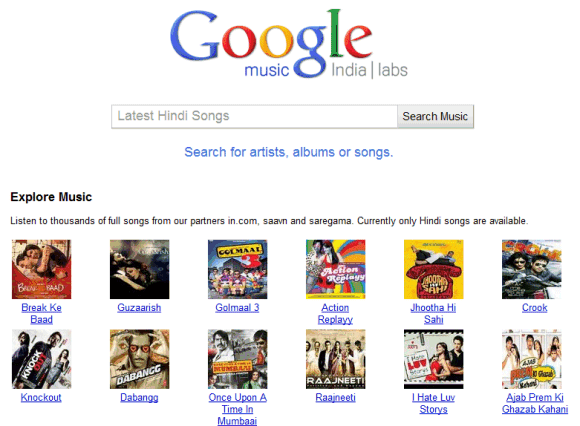 Google Music India helps you find Hindi songs and play them in your browser. Google aggregates the results from 3 partner sites: in.com, Saavn and Saregama, but it doesn't offer too many additional features. "Google Music Search (India) Labs licenses meta-data of thousands of songs owned or licensed by partners to make them searchable on Internet. Once you search and find the music you want, our partners stream the music directly from their websites to your computer," explains the FAQ. The US version of the service is similar and it focuses on finding music. Most of the audio previews are from iLike, a MySpace service. There's also a Chinese Google Music, which is less restrictive: it lets you find songs, play them and even download them for free. Google plans to launch a music store for Android. "Rubin, Google's vice president of engineering, hopes to have the service up and running by Christmas," according to some sources. I just tried the US version link, but it looks like it's just a normal google search. Am I doing something wrong??? I wud appreciate it greatly if u did! Its really a good option thanks for providing this option to all music lovers. India’s classical music is devotional. Besides that North Indian which is also known as Hindustani and South Indian “Carnatic” streams are distinct and both have a complex ‘raga’ framework. Ghazals which are recited in Urdu reflect on life and are light on the ear. Every region have their own traditional music and folklore. Absolutely love international musical. Great emphasis on musicianship! Keeping only few players in their search index won't gonna solve their problem. Since you are restricted to what these players have in their inventory. I think Google should use more sources to stay ahead in this. 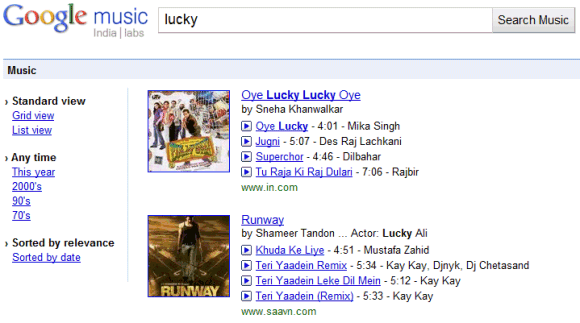 Seeing google is not that active on music search. But a great move from google.